Giving in America looks at the historical role of philanthropy in shaping the United States. 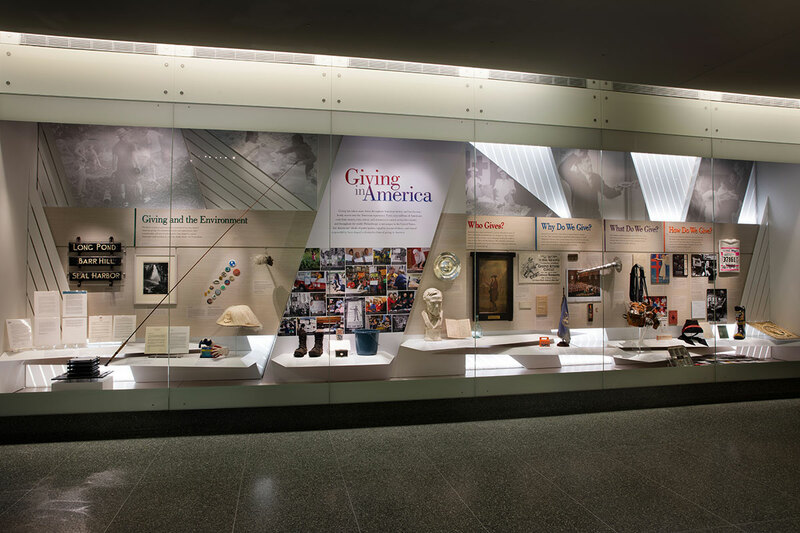 The exhibit showcases four major themes of American philanthropy centered on the questions of “Who Gives?” “Why Do We Give?” “What Do We Give?” and “How Do We Give?” On display are artifacts ranging from a collection box of the 1800s to a bucket used during the 2014-15 “ALS Ice Bucket Challenge” which went viral on social media. One section of the exhibit features a section devoted to an annual topic and currently looks at "Giving and Health." Learn more about the museum's Philanthropy Initiative.